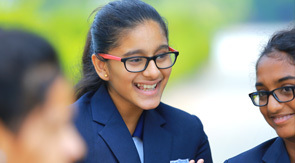 Living up to the status of the best International School in Coimbatore, Manchester International School truly believes that education should nurture global citizens. As members of society, students are expected to acknowledge their responsibilities towards each other as well as towards the society. By virtue of being responsible global citizens, students are aware of the societal issues and contribute innovatively to address some of the challenges faced by the society. Corporate Social Responsibilities(CSR) initiatives thus become extremely important in the school’s endeavour to give back to the society. Philanthropic initiatives, such as tree plantations, swach bharat initiatives, cleanliness awareness in slums, Cleanliness in public places like parks, among many others, contribute to create awareness amongst our students about the needs of the society and ways in which they can assist others in the community. Manchester International School launched Rotary Interact Club under the guidance of Rotary Club of Legends, Coimbatore 3201 DC to promote a sense of responsibility and inculcate the feeling of compassion among fellow students by doing service to the society. Interact is a club dedicated to community service for students aged between 12 and 18 and Manchester International School feels proud to be a part of it. MIS looks ahead with fervor towards the introduction of the Green Curriculum at MIS, wherein students work with various local environmental bodies and organisations on collaborative projects for environmental conservation. Programmes could begin from raising awareness about efficient electricity and water usage amongst community members, to distributing and installing water saving kits, and conducting research on how to improve water quality, Manchester International School students undertake a wide spectrum of educational, awareness and learning activities for the benefit of the local community.